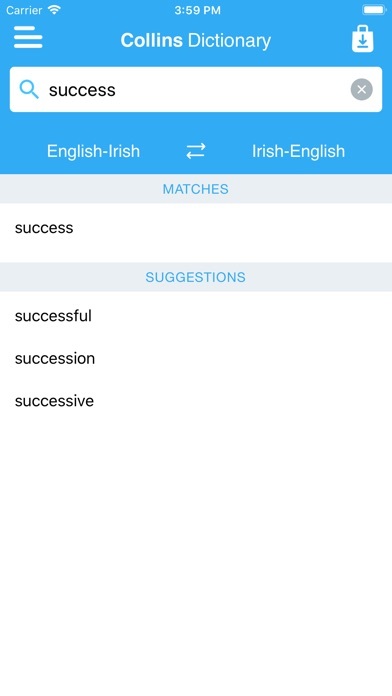 This app is great for translating words but I really really wish it had vocal option so you know how the word is pronounced too. It would be the perfect app if it had this. 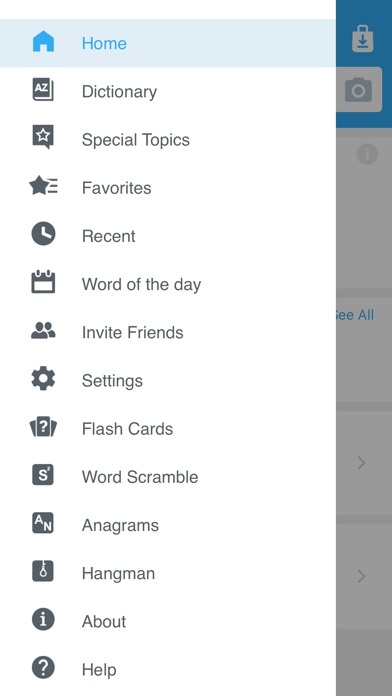 My only disappointment was the word scramble game appears to be English only. Would love to have it in Irish. Easy to navigate, visually pleasant, and provide you with notifications for a word of the day which keeps my iris fresh. The new interface is not as intuitive, nor as easy to use as previous versions. The back button whips you all the way to the opening page instead of going to your previous search item, A retrograde step for an otherwise excellent tool. Writing a book in Irish. This will help me a lot! Word a day learning the language & so much more than just a dictionary. 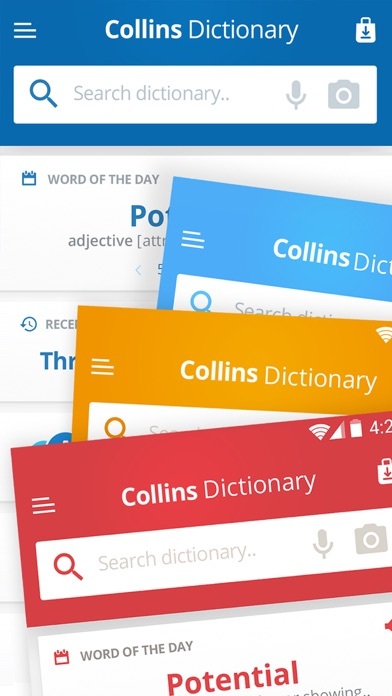 Collins makes even a dictionary fun with games (Hangman), Word of the Day, and other neat stuff. 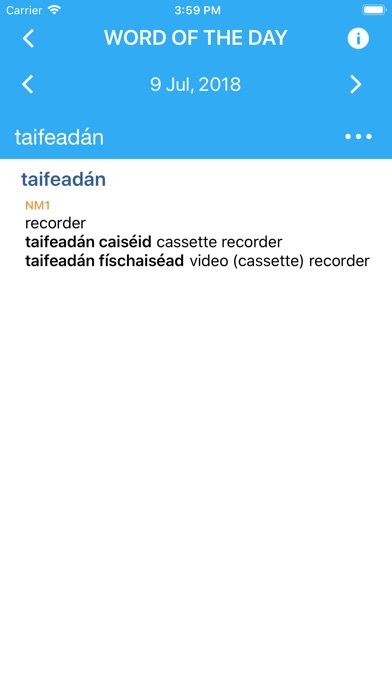 I love having the ease of translating Irish onto English and the reverse at the tip of my fingers. This app comes in handy and is very easy to use. 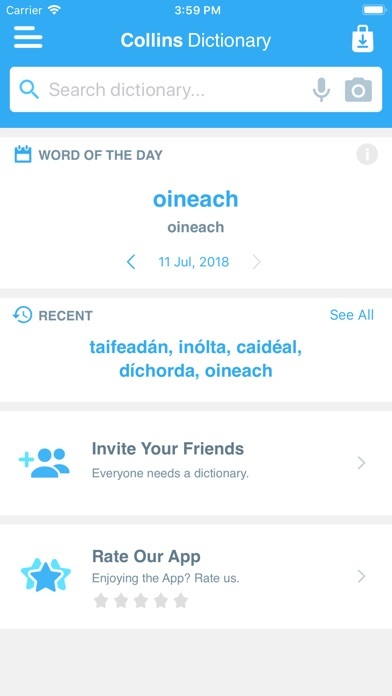 I use it all the time when I need to know what an Irish word means.